Dayv Morgan - #1 REALTOR FOR MARICOPA AND PINAL COUNTY!! Is your family growing? Are you ready to move into a bigger space that can accommodate your changing needs? Do you need help finding your dream home or selling your current property? Whether you hope to buy or sell, hiring a local Maricopa, AZ real estate agency helps to ease some of the stress while you go through the transition of moving your family to your new home. I'm Dayv Morgan, an experienced realtor in Maricopa, AZ. I am the #1 Realtor in Maricopa, as well as Pinal County, and I am serious about what I do. I earned my license in 2009 and was the top realtor in the city by 2010. I sold more than 500 homes in my first five years and continue to average 100 per year. What's my secret? I simply strive to provide the best service possible for every client. If you're selling a home in the Maricopa, AZ area, I consult with you to help you determine where you could make improvements that add value to the home for sale. I'll even pay the upfront costs for the renovation. You pay nothing until your home sells. If you want to buy a new home, we can discuss what you need and what you want from a property. Whether you're looking for a modern home in an upscale neighborhood or a traditional one on a large plot of land outside the city, I'm your Realtor. In addition to my experience with my Maricopa, AZ, real estate agency, I am a Certified Distressed Property Expert. What does this mean for you? It means I have a thorough understanding of the turbulence that occurs in the real estate industry, including how to help you avoid foreclosure. If you're facing foreclosure, allow me to teach you how a short sale can help. 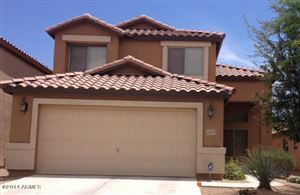 Are you ready to learn more about hiring a realtor in Maricopa, AZ? I’m ready to help. Contact me, Dayv Morgan, at my Maricopa, AZ, real estate agency by calling 480-251-4231.